The author has not been able to secure a photo of the WD Class 2‑10‑0’s Nos. 90750‑90774. Here we see a preserved member of the 2‑10‑0’s No. 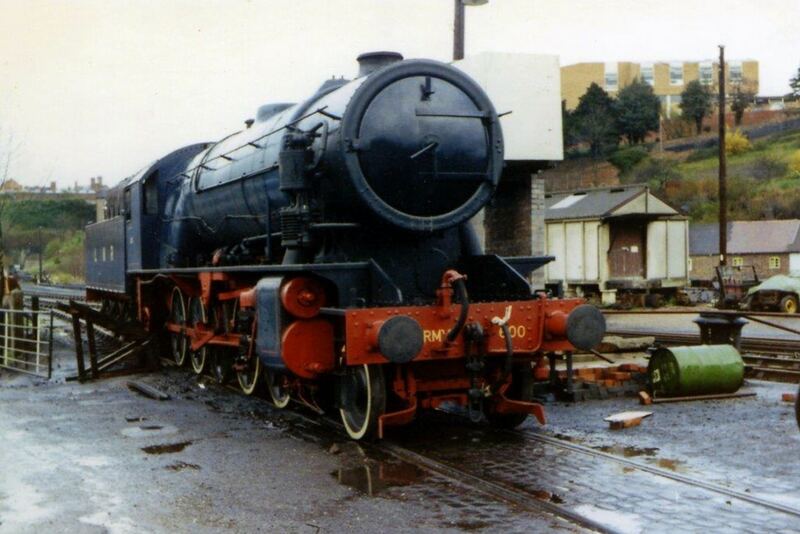 600 Gordon looking resplendent in the yard at Bridgnorth on the Severn Valley Railway on 7th April 1972. Note: Locomotives scrapped at Darlington were either cut up in the Works or at the nearby Scrapyard which was separate. Unless otherwise specified I have included them under the general heading of Darlington Works.